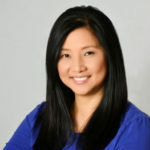 Helen Chang is a journalist, editor, writer, ghostwriter, and video journalist, specializing in business, motivational and lifestyle topics. As the former business editor of San Diego News Network, SDNN.com, she covered topics in tech, venture capital, personal finance, and more. Today’s episode is all about writing your first book and using it to market yourself as an expert. Andy Bailey is a serial entrepreneur and author of No Try Only Do. He is also the Founder and Lead Coach of Petra Coach, an entrepreneurial coaching firm. Today’s show is all about the illusion of work-life balance and how we can bridge the gap between those two more seamlessly. Andy and Bill also discuss how language plays an important role on how you show up to others, which is why you should get rid of the word ‘try’ in your vocabulary. Rory Vaden is the best selling author of Take the Stairs, and Procrastinate on Purpose. His expertise on improving self-discipline, overcoming procrastination, and enhancing productivity make him the perfect guest for this week’s show. Today, Bill and Rory discuss some of the best ways you can multiply your time and get more things done the smart way! Green is a Certified Gazelles Coach and Business Growth Expert. 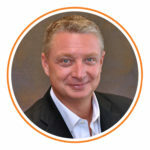 Mark is also the Founder and President of Performance Dynamics Group, where he has helped executives and salespeople dramatically increase their performance and their personal results.